The Frye Company tradition is one of hard work and high standards, a story worth sharing. At Sundance, we appreciate and applaud this level of excellence. It is extraordinary to work with artisans truly devoted to a craft. Supporting like-minded brands with a commitment to their products is an endeavor we celebrate. For more than a century, Frye shoes, boots, and handbags have been defined by quality, attention to detail, and craftsmanship. These are virtues we are proud to recognize. In 1863, John A. Frye opened his first shop in Marlboro, MA, a town producing more shoes and boots than anywhere else in the United States. But, the Frye Company distinguished its products through unparalleled craftsmanship: precision stitching, quality leather, and their ability to wear and perform comfortably on hardworking Americans. The company proudly branded its products with its signature harness ring-and-studs embellishment, a symbol inspired by nineteenth-century American cavalry boots. During the tumult that defined the 1960s and 70s, Frye continued to turn out styles in sync with the times. The Frye Campus Collection came to symbolize the spirit of freedom for a new generation of Americans. At the same time, Frye’s familiar “Double F” embossed on its fine leathers emerged as a badge of authenticity and the symbol of an exceptional boot or bag. 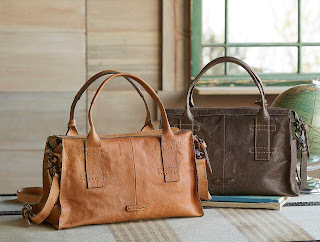 Frye still manufactures shoes, boots and bags of the highest quality leathers. They are baked, stonewashed, waxed, brushed, and oiled to create the perfect look and feel, crafted for function and style to last a lifetime. The timeless style of Frye products continues today, embodying the hard work and exceptional quality constructed into each item. The enduring designs are on display in the extraordinary leather boots and bags. Theirs is the story of a true American standard. 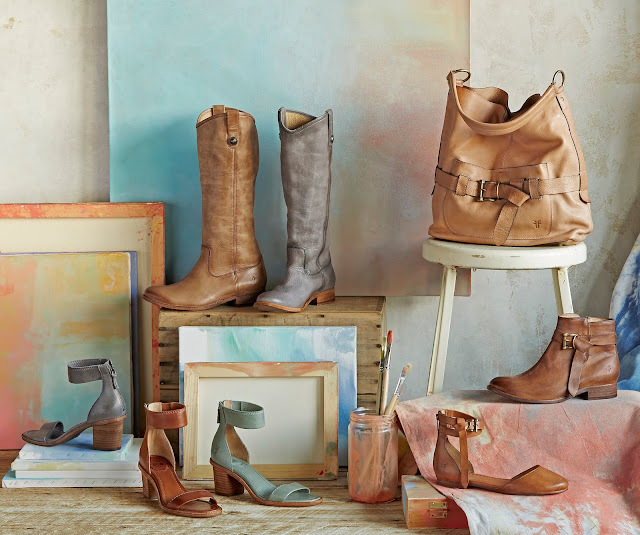 Shop the Frye collection here.